There is much competition in the restaurant business, but that does not mean that one cannot get more than their fair share of clients. All it calls for is an advertising strategy that is targeted to the right audience. Your message must reach the people who are most likely to come to the restaurant. That includes those who can afford to eat out at least once or twice a week and those who live or work in close proximity to the restaurant as they are the ones most likely to frequent it. This said, one of the questions that needs answering is how one can ensure that the right audience is getting the message. The obvious reason that one wants to advertise is to increase their sales and revenues. The first step to take when one is creating an advertising strategy is to identify who the target market is. One needs to point out the potential clients as well as business prospects needed to make the restaurant flourish. He or she must begin by putting down in writing the demographics of the people that one expects to spend money at the restaurant. Once this has been done, the owner then needs to consider the advertising budget. Advertising is expensive, but in light of the expected rise in sales and revenues it is a necessary expense. One has to spend money in order to make money in the world of business and restaurants are no different. In addition to the cost, advertising involves taking a risk because the results are yet unknown. This is why it is important to engage the services of professionals such as Absolute Restaurant Consultants and by doing so one eliminates the gambling aspects of advertising. Professionals are able to quickly tailor make an advertising strategy that will work for the restaurant. Advertising can be done through newspapers, television, radio and the internet. A great advertising strategy will likely combine several of these modes of advertising for maximum effect. Today, one of the major advertising tools for any business is the internet. This does not just mean that the restaurant creates a website, although that is important, but that it actively markets itself on the internet. Majority of the people who are willing to spend money on eating out spend the majority of their time working on the internet or surfing the internet for leisure. Online advertising allows for direct response which is an advantage to the restaurant and the clients as well. For those who are not computer savvy Absolute Restaurant Consultants can help provide what the restaurant needs from helping create a fabulous website to finding websites that one can advertise on. An advertising strategy may also involve a well written press release both online and in the local paper, that may include some of the new foods on the menu or decorative changes that may have improved the ambience of the restaurant. All this will go a long way in ensuring that the restaurant becomes a top spot to hang out and enjoy a delicious meal. There is much competition in the restaurant business, but that does not mean that one cannot get more than their fair share of clients. According to the International Franchise Association, franchises have over eight million people in their employ and every 8 minutes someone in the United States opens a new outlet. Additionally, of every twelve retail businesses one is a franchise. These are great statistics and clearly indicate that franchising is great business. However there are advantages and disadvantages to buying a franchise. Each person desiring to start a franchise must find out if this is the business for them and if so, here are some things that they should know. Some of the advantages of buying a franchise are that a franchise is a system that has already proved that it works. One does not guess at whether the business will succeed or not. If the franchisee works the system, it will work. It is a great option for those with limited marketing and sales skills. Another great advantage of starting a franchise is that one has support from the franchiser. He or she can share the challenges experienced and know that they will receive help from others in the organization. Therefore one is not thrown into the deep end to sink or swim. An advantage that cannot be overlooked is that of acquiring a brand name. Market awareness has already been created and the brand is already well known. This in turn saves money as one does not have to convince customers to come to their establishment. It allows for that money to be poured back into running the business. When buying a franchise, most people do not know this, but the fact that the company already has collective buying power means that inventory and equipment is bought at a discounted price. The franchiser has much bargaining power with the suppliers. That said the disadvantages of buying a franchise may include less freedom to be creative as they have to follow set operational procedures. Additionally, a franchise owner must share information on their finances. This is not so with independent restaurant owners. Moreover, there are royalty payments that must be made yearly for the support given by the main company such as advertisement and operations. Another disadvantage is that the franchiser may not give the franchisee all the resources needed to succeed. The startup costs are also higher because one is buying the franchise brand as well. The amount tends to be higher than most people can afford. Another disappointment when buying a franchise may come in the franchiser not being able to give the needed field or market assistance. It may also lead to dependence on the franchisor to solve every small problem that may arise. For team players a franchise is a great idea, but those who like to do their own thing or go their own way may find it difficult to fit into the set guidelines that must be followed. If one finds that this is the right business environment for them, then they should go for it without fear. There is much help from the franchiser and there are organizations willing to lend the business person money to buy one. According to the International Franchise Association, franchises have over eight million people in their employ and every 8 minutes. Every restaurant at one point or another must evaluate their performance and ensure that they are on the right course. This is done in a bid to improve the results and performance of the establishment. An analysis of the business may mean that the organization needs to come up with alternative projects or different ways to approach a project, or even that the restaurant needs to acquire a competitor. The issue in question is what the course of direction may be. This is done using a cost analysis and often leads to greater profits for the restaurant. A financial analysis will assist the owner to know whether the business is going in the right direction or not. The metrics used in the restaurant’s cost analysis are cash flow, profits and loses, cost of labor and the cost of sales. By taking a good look at this data, the restaurant owner can find out whether their finances, structures and systems are leading to success or not. Profits and losses can be produced weekly or monthly but they are one of the best ways to keep one’s finger on the pulse of the restaurant. Additionally they create an overview of how the restaurant is performing over time. The information found in the P&L becomes much more useful if one can break it down and look at it from various angles. One should look at the cost of sales. This is all the costs that go into making the food and producing the great items on the menu. These should be a certain percentage of the overall costs but that is also based on the kind of restaurant one is running. For people who do not know what that number should be, it is beneficial to get the assistance of companies like the Absolute Restaurant Consultants to assist with the cost analysis. The cost of labor should also be analyzed. It can be difficult to strike a balance between overstaffing and getting the right number of workers at the restaurant per shift. The best way to guarantee that this cost is managed is to ensure that the scheduling is done well, not under or over staffing, and also ensuring that one maximizes on the productivity of the employees on duty. Payroll reports should be analyzed when carrying out a cost analysis as should customer counts and sales reports in order to be certain that the productivity and scheduling are optimized and the labor cost reduced. Cost analysis is not just for those who are already in business. It can also be a great tool for those looking to open a restaurant as it acts as a predictor of success. A consultant can assist in creating a plan that includes the financial forecast that is based on the industry and can also be used to put in place financial systems to be used by the new restaurant. Anyway one looks at it, an analysis leads to success. A financial analysis will assist the owner to know whether the business is going in the right direction or not. There are many benefits seen by organizations that perform employee evaluations. They let the employees know the expectations of the organization, receiving praise, criticism and feedback for the work they have done. Additionally, it allows the organization to notify them of where they may be coming up short in regards to their conduct or performance. They also provide a great platform to reward great employees and recognize their efforts. Those who may be performing below standard get an opportunity for coaching as well. This communication ensures that everyone in the organization is on the same page and addresses the concerns or needs of the employees. Performance evaluations do a great job of addressing problems that the employees may have before they escalate into something much bigger or much worse. They can also keep the organization out of trouble legally by keeping track and documenting employee issues. Should the need arise to discipline or fire one of the workers, there will be written proof showing that employee evaluations were done and the employee notified of the shortfall and given the opportunity to change. Should the problem escalate to court, the organization will have convincing evidence for the judge and jury showing that the employee was given fair chance to correct the problem. In order to effectively carry out employee evaluations there should be an established system in place to measure their performance. There should be performance standards to match each job description. A waiter cannot be evaluated on the same performance standards as a chef. The standards should be based on what they are expected to accomplish in their job designation and they should also be achievable. Within the performance standards, which apply for anyone in that job description there must also be goals tailor made for each individual employee. These are based on that person’s strengths as well as weaknesses. Once the performance standards and the goals for each employee are in place they should be written down and used for the employee evaluations. These should then be tracked all through the year and a log kept on each worker on paper or on a computer. Incidents and projects that the employee has been involved in should be noted whether they were good incidents or bad. Some of the incidents may include working overtime, tardiness and the like. Immediate feedback should be given when an employee performs exceptionally well or makes a really bad mistake. This can be done either verbally or in written form. A formal evaluation of each employee should be carried out and written feedback given in the form of a yearly performance appraisal. This appraisal should be based on the employee evaluations that had been performed all through the year. One should gather all the documents used in the evaluations and the information should include the employees behavior, performance and productivity. The appraisal ought to include the standards and goals set for the employee, whether the employee met them and reasons supporting one’s conclusion. There are many benefits seen by organizations that perform employee evaluations. They let the employees know the expectations of the organization. Finding quality employees for one’s restaurant can be a daunting task. One needs to know exactly what skills to look for, what characteristics to search out and there must be a plan on how to go about finding these employees. There are many mistakes made by companies when they are employee recruiting, but these mistakes cost them much in money and time as they go about their business. That is why it may be advantageous to hire consultants when recruiting for one’s business. Even though many consider it expensive, it will go a long way in assisting one avoid the mistakes made by most in-house recruiters. One of the most common mistakes that are made as one is employee recruiting is failing to look within the organization for employees to fill the particular position. By so doing, many have missed excellent candidates and have caused the morale of their current employees to drop. Another mistake is that recruiters tend to look for someone who is exactly the same as the one who just exited the position. Because of this, they miss innovative, creative people who could bring new ideas and progress to their business endeavor. A foreign chef may not know how to make perfect macaroni and cheese, but may introduce a whole new exotic menu, that may be what the restaurant needs to succeed. When employee recruiting, it is crucial to provide a job description and a complete one at that. When that is done, one can quickly eliminate those who are not interested in performing the detailed duties because they will not apply for the job. This ensures that the candidate pool is narrowed down to just those who are genuinely interested in the job. The job description should not be geared towards a super hero in the industry. This will only serve to discourage people out there who could be what the organization is looking for but do not measure up to all the requirements listed in the advertisement. Another important aspect of employee recruiting is to make sure that one explains the process. Be sure to give an approximated timeline of the process complete with an end date. That ensures that the reputation of the business is preserved as candidates will not be left wondering what happened. Involving current employees when recruiting will give them a feeling of ownership. When they know you will be filling a certain position they will feel valuable when asked to sit in on the interview. Additionally, employees usually know other people within the industry that could fill the position perfectly. Another common mistake made is that businesses use the same old mode of advertising regardless of whether or not it was effective the last time. It could be a recruitment website or the local paper. Diversifying modes of advertisement will create better chances of getting the right employees. Always remember when employee recruiting, that managers are co-builders in the business and involve them in the process. These tips will bring recruitment success. Finding quality employees for one’s restaurant can be a daunting task. One needs to know exactly what skills to look for. Absolute Restaurant Consultants has a favorable track record in offering franchise owners with assistance to develop their businesses and they have worked with more than ten different types of restaurant concepts and are the founders, owners, and operators of three successful restaurant concepts. In order to ensure that any type of franchising business is able to operate at maximum efficiency, various mechanisms need to be developed, and one of the most important mechanisms is employee training. However, in addition to employee training are incentives and employee development, ensuring that the generally high staff turnover in many franchise businesses is limited. In order to enjoy overall success, the consulting services of Absolute Restaurant Concepts are recommended. Absolute Restaurant Consultants has over six years of hands-on experience within the realm of owning and running restaurants, in an up-market and prompt, casual dining franchising business. Being experienced Absolute Restaurant Consultants, they will be able to offer the franchising business with needed tools and resources, such as employee training, which will allow them to enjoy an increase profits, and will enhance the daily operations of the business, and this includes menu design and recruitment of the staff. A critical component of any business is staff and without the proper employee training in place, employees will not be able to perform their duties correctly in order to allow a business to enjoy a profit, especially in the hospitality and catering industry, where employees form the backbone of the industry and good staff is essential to the survival and growth of the establishment. Additional services that are offered to a franchising business by Absolute Restaurant Concepts include lease analysis and site evaluation, which again, are integral factors of any company, as the correct location will attract regular customers. Other services of the Absolute Restaurant Concept include restaurant design, menu design and development, concept development and training programs. Once employee training is firmly in place, Absolute Restaurant Consultants will devise practical staff incentive plans which are vital for a business, especially in the franchise industry, where high staff turnover is relatively high in comparison with other industries. To view the services which are offered by Absolute Restaurant Consultants, please feel free to view the website at http://www.absoluterestaurantconsultants.com, and obtain further information regarding the assistance provided to franchising businesses by way of employee training and increasing profits. Absolute Restaurant Consultants is a current licensor and franchisor themselves and to this end, are owners of eight restaurants in the Southeast, and are kept updated with changes of franchising and restaurant ownership, ensuring that consulting services are worthwhile and practical, and will reap many benefits for the franchising businesses and business owners. With effective employee training, staff will not be thrown into the deep end – they will be guided to make the right decision to allow the franchise business to thrive. Consulting services include assistance with the daily running and operations of the franchising business, as well as more complex issues such as licensing, franchising, business plans and strategies. Absolute Restaurant Consultants has a favorable track record in offering franchise owners with assistance to develop their businesses. As knowledgeable consultants, Absolute Restaurant Consultants is able to offer the food franchise with the needed tools and resources to allow them to enjoy increased profits, and the consultants will assist with the daily operations of the food franchise, which includes menu design and the recruitment of the right staff for the food franchise. Absolute Restaurant Consultants has over sixty years of hands-on experience in both owning and running of restaurants, in an up-market and prompt, casual dining food franchise. Over and above making certain that the food franchise has access to the right types of tools needed to realize good profit margins and attract and keep customers, Absolute Restaurant Consultant’s boasts a successful track record, and they have worked with more than ten different types of restaurant concepts and are the founders and the owners and operators of three successful restaurant concepts. To ensure that your food franchise operates at it highest efficiency and has the needed mechanisms in place to take pleasure in success, the consulting services of Absolute Restaurant Concepts’ consulting services are strongly recommended. One of the primary objectives of any experienced restaurant consultant is to develop a strong and catchy advertising promotion for the food franchise that will be able to showcase and accentuate the very best and unique qualities of the business. In addition, Absolute Restaurant Consultants will work out practical and meaningful staff incentive plans, which are a crucial component of any business, especially within the catering and hospitality sector where staff turnover is generally high. Additional services which are offered to the food franchise by Absolute Restaurant Concepts include lease analysis and site evaluation, which are integral factors of any type of business, as an optimal location will attract regular customers. Other services of the consultants will include restaurant design, menu design and development, concept development as well as staff and management training programs. Being professional consultants with years of on the job experience, a food franchise can expect to gain the benefits in various spheres of their business, from the daily running and the operations of the business, to inconspicuous, but no less important aspects, such as licensing, franchising, business plans and strategies. To view further information about the services that are offered by Absolute Restaurant Consultants, please feel free to view the website at www.absoluterestaurantconsultants.com, and obtain further information about the assistance provided to a food franchise that will turn a business around and make certain that the profits are increased and issues like P&L analysis, cost analysis and ROI analysis are taken care of. In addition to providing consulting services to a food franchise, Absolute Restaurant Consultants is a current licensor and franchisor that has ownership of eight restaurants in the Southeast, and as such, they are continually kept updated with changes in the realm of franchising and restaurant ownership, making their consulting services valuable and practical, such that it will benefit all types of food franchise owners. Find out more about the methods that can turn you food franchise around with the assistance of Absolute Restaurant Consultants and begin to enjoy increased profits, better performance, and a decrease in the loss of good and qualified staff. Absolute Restaurant Consultants has more than six decades of hands-on experience in owning and running restaurants, in an up-market and prompt casual dining franchising business. As experienced consultants, Absolute Restaurant Consultants will provide the franchising business with the necessary tools and resources that will allow them to increase profits, as well as help with the daily operations of the franchising business, which includes menu design as well as recruitment of the right staff. In addition to ensuring that the franchising business has access to the correct tools that will allow them to realize a good profit and attract customers, Absolute Restaurant Consultant has enjoyed a favorable track record, and they have worked with more than ten varying types of restaurant concepts and are the founders as well as the owners and operators of three highly successful restaurant concepts. To make certain that your franchising business operates at maximum efficiency and has the necessary mechanisms in placed to enjoy overall success, the consulting services of Absolute Restaurant Concepts is highly recommended. Other services offered to a franchising business by Absolute Restaurant Concepts, includes lease analysis and site evaluation, as this is an integral factor of any business, as an optimal location will attract regular customers. Additional services include restaurant design, menu design and development, as well as concept development and training programs. One of the most fundamental roles of the restaurant consultant will be to develop a sound advertising campaign for the franchising business that will highlight the best and most unique qualities of the franchising business. Furthermore, Absolute Restaurant Consultants will devise practical and meaningful staff incentive plans – which are, again, another critical component of any business, especially in the catering and hospitality sector where staff turnover is relatively high. However, being an experienced consultant with years of hands-on experience, the franchising business can expect to benefit in all aspects of the business, from the daily running and operations of the franchising business, to under the surface aspects, such as licensing, franchising, business plans and strategies. In order to view more of the services which are offered by Absolute Restaurant Consultants, please feel free to view the website at http://www.absoluterestaurantconsultants.com, and gain additional information about the assistance provided to franchising business which will turn their business around and ensure that bottom-line profits are increased and issues such as P&L analysis, cost analysis and ROI analysis are handled and taken care of. In addition to extending consulting services to a franchising business, Absolute Restaurant Consultants is a current licensor and franchisor themselves and has ownership of eight restaurants in the Southeast, and to this end, they are continually updated with changes of franchising and restaurant ownership, making their consulting services worthwhile and practical, and able to benefit varying types of franchising businesses and business owners. Find out how you can turn your franchise business around with the help of Absolute Restaurant Consultants and start realizing increased profits, better restaurant performance, and a decrease in staff turnover. 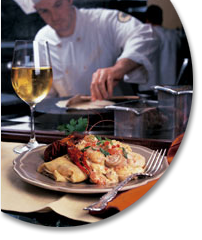 Absolute Restaurant Consultants has more than six decades of hands-on experience in owning and running restaurants. In a consumable product business like restaurants, quantifying the use of salt and pepper and revenue modeling for the use of hot sauce can be a challenge. However, unless you can control the number of napkins going out the drive thru window, you may just go out of business. Inventory control management may seem almost impossible to implement but the cold hard facts that result in your not bothering to deploy some quantifiable measure of control are bleak enough to make you think twice. There are three elements in inventory control management critical for any restaurant. Understanding these and being able to apply them to your business may not be a skill that you, the chef or the investor who loves restaurants and wanted to try your hand at running one, have experience with. That is when experts like Absolute Restaurant Consultants can assist you in getting a handle on inventory control management and increasing your profit margin. The creative genius in the kitchen may not have any idea what quantity of saffron they used in tonight’s pilaf, but the business manager knows how often he has had to reorder it. If he has to consistently order saffron and it is not appearing in the menu, then you have a situation. Either someone is pocketing the delicate herb for their own use, or the chef forgot to let you know that it is the main ingredient that is directing salivating clients through your doors and needs to be added to the inventory control management process. Once you know that it is a part of what is being sold, you can add that to the cost of your operations; a key ingredient in your inventory control management. If your creative genius wielding the Chinese chopper fervently demands a supply of saffron for his masterpieces, you better let him have it and price the dish accordingly. However, if it is being added by the waiter because it looks pretty, your inventory control management will successfully issue a report that restricts waiters or servers from adding it to the plate. Skimming the Fat off the Top of the Rice Bowl. On the other hand, if your chef raises an eyebrow and looks down her nose at you, disdainfully querying “Moi?” you may have a thief in your midst. Restaurants and bars have a challenge in keeping their employees’ spoons out of your rice bowl. Security cameras may be effective in mall kiosks and department stores, but unless you plan to place a camera in every nook and cranny in your restaurant, you need to shore up your inventory control management and count your spoons daily. “How Many Would You Like?”. There is a true story of a restaurant that went out of business because they did not count their paper napkins. They had trained their staff well to accommodate the customer, but did not account for napkins in their inventory control management. That resulted in the difference between profit and loss and resulted in closing their doors. In a consumable product business like restaurants, quantifying the use of salt and pepper and revenue modeling for the use of hot sauce can be a challenge. Some restaurants have stood for hundreds of years in Paris and Rome and not even changed a brick oven or a pane of glass. Others have changed hands year after year, paper wrappers tumbling in the wind blowing through their empty parking lots and collecting in the abandoned gardens. What makes the difference between the restaurant that withstand the tides of time and the one that gets washed out to sea? Basic business principles. There are 3 basic business principles to incorporate into your marketing strategies for success. A restaurant provides food yes but the difference between Mommas warm and fragrant kitchen and McDonalds is not the food, though it is very different. The difference is that one is a business and the other is a service of love. Mommas kitchen is organized. You know when and when not to steal a cookie or dip into the sauce for the pasta. She reigns superior. In business, the marketing strategies work because there is an entire organization that supports all the different elements of a successful business. The marketing strategies support the vision of the owner/partners communicated to all the employees who are enrolled in that same vision, are driven by the profit margins and earnings reports, reflect the production of satisfied customers, which quality control monitors all the time and public relations makes sure is broadcasted to all your existing and developing target markets fed by your marketing strategies. Business success is a quantifiable systematized organiztion determined by the outlook of the executives. Momma has a captive audience. The success of her kitchen is dependent on the income of the household and expands due to rave reviews. Her marketing strategies are simple. She cooks good food, lets her family know when and where it is available, the aroma suffuses the house with tantalizing aromas and provides incentive. Fear of loss is inherent. Miss dinner; lose out. Restaurants have a greater challenge. They must cultivate their audience. Their guests are not born into the customer list. Restaurants require marketing strategies to attract an audience that they know are willing to exchange money for the service that your provide; good food, served in an appealing atmosphere for the price they are willing to pay. If you do not know who that is, no matter the brilliance of your marketing strategies, you are stabbing at your premium blue steak with your fork in the dark and are most likely going to miss. Cooking good food is an important feature of your restaurant venture, but that is certainly not McDonald’s success. Your marketing strategies must deliver the goods once you have attracted guests to your table. If you told them that they were going to eat the best cheesecake in the world, it better not be Sara Lees. If you told them that your cheesecake is a delicious addition to their dinner and they only have to pay X number of dollars, you better know that they like Sara Lees and give it to them. Some restaurants have stood for hundreds of years in Paris and Rome and not even changed a brick oven or a pane of glass. There is a certain charm to walking into a restaurant in the heart of Chinatown and perusing the menus which are posted on the wall and written in some dialect of Chinese in what suspiciously looks like crayon. You can only hope that your server speaks English but you feel fairly satisfied that you are having an authentic Chinese experience. For that restaurant, their menu design was the entire reason their Chinese and other clients filled their tables. For you, you need to determine what menu design will effectively communicate the flavor of your restaurant to your target market. How do you do that? Trial and error has its merits as does copying another concept, but can you stay in business long enough before you find the menu design that works and how do you know which concept to copy? When you are first putting together your business plan for your restaurant, call upon the expertise and experience of professionals like Absolute Restaurant Consultants for advice. The menu design needs to communicate the theme, the passion, the value, and the type of food and service that you offer. Pieces of newspaper tacked on the wall and written on with crayon in Chinese let you know right away that you are going to experience down home authentic Chinese cooking at lower prices. However, that same menu design used in a five star concept, California style restaurant will lose your customer as soon as they step inside your restaurant. Market research, ingenuity, and the gut feeling that represent the passion for your product are the major ingredients in producing a menu design that will attract your customers to buy food that they know they will enjoy and feel justified in paying for. Again, that is where a consultant with years of experience in private and public restaurant ventures can advise you on what works. Brightly colored and laminated menu designs for family dining may be more permanent, but they will survive baby knocking over the mustard or ketchup and ruining the pretty paper on which you just spent a fortune. Then again, a freshly printed menu daily inserted into an elegant presentation folder conveys the quality of your meal. A thousand dollar bottle of champagne may be unlikely on a take out menu, but an elegant sheaf of paper declaring the price is well worth reprinting the next day in order to sell another bottle. Menu design is best managed by an expert who will direct a graphic designer and professional printer to create the end result which, in the long run, drives your buying customer to your tables, day after day, because they desire what your menu design represents. You may feel you are great at Publisher on your own computer, but just wait until you see the results you print out at home or try to post it on your website. Allow the experts with a proven record in menu design to guide you to your success. There is a certain charm to walking into a restaurant in the heart of Chinatown and perusing the menus which are posted. The restaurant business can be highly influenced by rising food costs and media warnings of a downturn in the economy. However with intelligent pricing strategies, restaurants can realize stable profits. In fact, historically, dining out has been a favored past time during all the different up turns and down turns of society. The best strategy for independent and franchised restaurants is to appeal to their clientele and make them happy. Pricing strategies are an important part of the success of any restaurant. Always provide excellent service and include top quality fare in your pricing strategies for any menu that you serve. If you make hotdogs, make it the best hotdog in the neighborhood so that everyone comes and has no reason to make one at home instead. At home, you don’t have the high quality meat, the homemade relishes, the fun ambience, but you do have the dishes, the mess, and the clean up. Pricing strategies allow you to provide fair prices and incentives for services that keep your customers returning. And how do you know what is a fair price? Consultants like Absolute Restaurant consultants can put together pricing strategies that align with your menu and enhance your marketing, operational, and human resource objectives so that you have a restaurant business plan that will make cents and dollars. The small investment that you make in hiring experts gives you the best ROI on your menu pricing strategies. Experts understand how to implement strategies to drive incremental revenue and profitability. Always deliver what you promise. People pay to get what they want. If that is a fresh menu daily, excellent, then that is what you provide. If it is the same menu day in and day out, then you better give the same quality each time your guests sit down to eat, or they will not return because they came expecting to get what they saw offered and probably ate yesterday, and pay the same price. Constant shifting in the menu can produce declining transactions. Stability is a key factor in menu pricing strategies. Relying on a firm like Absolute Restaurant Consultants gives you the expertise of over 60 combined years in successful restaurant ventures in the private, corporate, and franchise markets. They can review and analyze menus and their prices to make sure that you have provided sufficient profit margins to attain your business goals. The entire menu offering of a restaurant as well as each item must be designed to attract and keep your target market, at the price that they will pay, which will keep you in business and prospering. In a market that has seen the decline in beef sales and an increase in brown bag lunches, creative incentives and alternate menus that still satisfy your core clientele are essential for your continued growth. Charging more for a premium beef entre is understood and welcomed by your blue steak fans, whereas low cost specialty protein smoothies just may bring back the lunch crowd. The restaurant business can be highly influenced by rising food costs and media warnings of a downturn in the economy. The restaurant business is much the same as any other. You are providing a service and a product for which new and hopefully recurring customers are willing to exchange their hard earned dollars. We have all enjoyed movies like “Ratatouille” and “Notting Hill” that followed the progress of restaurants to either their brilliant success or their sad demise. These stories, though fictitious, maintain the key elements of the emotional and practical elements involved in running a restaurant business to success. Without passion, life is pretty much grey and dreary. Grey and dreary on your dinner plate does not excite the palate. This can represent a severe loss of income to the restaurateur in the cost of the food, the staff, and the table which could have seated a client seeking the misery of grey dreariness. The most successful restaurant business is built on passion. For Ratatouille that passion was serving exceptional food seasoned to seduce the palate. For McDonald’s, it is to open as much real estate as possible to produce predictable food that you can trust. That passion must communicate itself through the entire organization of the business. In Notting Hill, the chef friend was passionate about his food and selected wine that perfectly complimented his menus. However, only his immediate circle of friends even knew that he existed. He failed to communicate his passion to the rest of the neighborhood and invite them to his table. In fact, he had no idea if his fervor was even shared by anyone else in Notting Hill and so failed at the outset. Whereas in Notting Hill we saw that the fundamental failure of the business was a lack of communication, both inflowing to the passionate owner of the business and out flowing to the rest of the world, in Ratatouille we saw the ultimate success of communication in the world of the restaurant business. Word of mouth had kept the clientele in hand but the rave reviews of the food critic resulted in food lovers starving for excellent fare arriving in droves. This is also a two edged sword. Any skeletons in the closet or rats in the hat need to be handled delicately with pro-active marketing strategies. Marketing is what you tell your public what you have and why they should avail themselves of it. But reverse marketing, stories that may damage your reputation and smother the fire on the stove have just as much if not even more effect. Any dissatisfied customers must be handled with grace and professionalism but first, you must deliver the product that you promised. No number of pretty pictures and apologies for the rats in the kitchen are going to cover up the emotional impact of a person with whetted apatite sitting down to enjoy their meal and crunching on an unmentionable in their cream of asparagus soup. “Caper!” “Rat Turd!” Let’s not make your customer have to figure out what on earth they just sank their teeth into. The restaurant business is much the same as any other. You are providing a service and a product for which new and hopefully. Absolute Restaurant Consultants has more than sixty years of working experience which they have gained by both owning and running restaurants, which vary between trendy and up-market restaurants to prompt, casual dining eateries. Being experienced restaurant consultants, Absolute Restaurant Consultants will offer a new and existing franchising business or restaurants with access to the necessary tools and resources which are needed to allow them enjoy increased profits, and in addition, the restaurants consultants will offer assistance in the running of the daily operations of the restaurants in areas that include menu design and staff recruitment. Over and above making certain that the restaurant owners gain access to the right tools needed to allow them to realize a profit and attract customers, Absolute Restaurant Consultants has a good track record as restaurant consultants, and they have worked with over ten different restaurant concepts and are the founders and the operators and owners of three successful restaurant ideas. To ensure that the restaurant is run at maximum efficiency and has the needed mechanisms in place to enjoy success, the services of experienced and professional restaurant consultants are highly recommended. One of the most critical roles of a restaurant consultant will be to create and develop advertising campaigns as advertising will highlight the very best and most unique qualities of the restaurant. In addition, Absolute Restaurant Consultants will devise staff incentive plans that are vital to preventing high staff turnover, usually associated with the catering and hospitality industry. The additional services which are offered by the restaurant consultants include lease analysis, site evaluation, which forms essential components of any type of business, as a good location will attract regular customers. Other services offered by Absolute Restaurant Consultants include restaurant design, menu design and development, and concept development and staff training programs. However, being experienced restaurant consultants with many years of experience, the restaurant owner can look forward to benefiting from numerous aspects of the business enhancement, ranging from the daily running and operations of the business, to other, yet no less important aspects, such as licensing, franchising, business plans and strategies. To view the services offered by Absolute Restaurant Consultants, view the website at http://www.absoluterestaurantconsultants.com, and obtain more information into the assistance offered to restaurant owners. Absolute Restaurant Consultants are licensors and franchisors themselves and own eight restaurants in the Southeast, and as such, they are more than aware of any changes made within the realm of franchising and restaurant ownership, which have allowed their services as restaurant consultants to reap vast benefit for restaurant and franchising business owners. Find out how you can turn your franchise business around with the help of Absolute Restaurant Consultants and begin to realize increased profits, better restaurant performance, and a sharp decrease in staff turnover. Once the restaurant consultants have achieved their objectives and the restaurant or franchising business has been turned around, as leading restaurant consultants, Absolute Restaurant Consultants will be on hand to provide assistance in opening up additional franchises or other aspects related to business growth. Absolute Restaurant Consultants has more than sixty years of working experience which they have gained by both owning. Absolute Restaurant Consultants has more than six decades of experience and has owned and run busy restaurant franchises, in both high-class as well as in fast food and casual dining franchise businesses. For new franchise owners, along with existing franchise owners the trained restaurant consultants will afford them access to worthwhile tools and resources that will allow for an increase in profits. During the evaluations, various aspects will be viewed and developed and the area of expertise of Absolute Restaurant Consultants include restaurant design, which will allow owners to enjoy a streamlined restaurant design, which will be enhance the surrounds for patrons and allow for staff to better carry out their services. In addition to restaurant design, other consulting services include menu design and recruitment of the right restaurant or franchising staff. The goal of Absolute Restaurant Consultants is to help the business flourish and thrive and enjoy an increase in profits. In order to achieve this goal, the consultants will look at all aspects of restaurant design, menu design, concept development, staff training programs, as well as advertising. Absolute Restaurant Consultants has a good track record, and they have worked with over ten different types of restaurant concepts and are the founders and the owners and operators of three very successful restaurant concepts. To ensure that your franchising business is able to operate at maximum efficiency and that the necessary mechanisms are in place to allow for success, the consulting services of Absolute Restaurant Consultants to aid with restaurant design and streamlining of other services are recommended. Further services offered to franchise owners include P&L analysis, cost analysis and business plans; however, when it comes to creating a restaurant that is pleasant for both patrons and staff, a restaurant design is essential. Furthermore, an advertising campaign for the franchising business will highlight the best and most attractive qualities of the business and Absolute Restaurant Consultants will devise meaningful staff incentive plans that are critical for any type of business, especially in the restaurant and fast food sector, where staff turnover is relatively high. As a consultant with hands-on experience, a franchising business will benefit in all aspects of the business, from the daily running and operations as well as advice in terms of restaurant design. To view more the services offered by Absolute Restaurant Consultants, please feel free to view the website at http://www.absoluterestaurantconsultants.com, and obtain further information into the assistance provided to the franchising business that will improve the bottom line and allow for an increase in profits. Absolute Restaurant Consultants are current licensors and franchisors themselves and have ownership of eight restaurants in the southeast, and as such, they are continually kept updated with changes of franchising and restaurant ownership, which allows for their consulting services to be practical and beneficial. Turn your business around, and allow your restaurant to take on a design that is practical, appealing, and will attract the right patrons, which will improve your business’ bottom line. Absolute Restaurant Consultants has more than six decades of experience and has owned and run busy restaurant franchises. First of all, a restaurant designer will have the experience to make the design of your restaurant as effective as possible. It’s true that people typically go to a restaurant for the food. However, they are more like to spend a relaxed evening in a place that feels comfortable and professionally designed. The more time they spend, the more money they spend. Having a professionally designed restaurant can increase your profits, which will offset the cost of hiring a designer in the first place. A restaurant designer will also take care of many aspects of the design and implementation of your restaurant and menu. This will free you up to take care of other elements of your restaurant that are not only important but will likely be more interesting for you to handle. Most people realize that time is money. The more time you spend on one aspect of your restaurant, the less time you have to handle others. When you try to handle everything yourself, you’re likely to not take the time you should to make sure all elements of your restaurant are at their best. When most people think of a restaurant designer, they think of someone who will handle the interior of the restaurant. This is, in fact, one of their functions. They will have years of experience handling this part of a restaurant opening. They’ll know what people want, what makes them feel comfortable and what will bring them back again in the future. This can be a huge benefit to a restaurant that’s just starting up. A restaurant designer doesn’t just handle the interior of the restaurant, however. They can also handle the menu design. Menus can be tricky, as you want them to both be functional and interesting to look at. You want your restaurant to stand out from the many other options out there. Hiring a professional is a good way to achieve this goal. They can also help you with the design of the exterior of the restaurant as well as with creating a logo and branding your restaurant. It’s common for a new restaurateur to think that handling every aspect of their restaurant opening is the least expensive way to get up and running. However, when this means that everything they handle does not get the personal attention it should, it can actually be detrimental to the success of the restaurant. Many people have found that by hiring a restaurant designer, they were able to not just open a more professional and successful restaurant, but that they saved time and money by hiring them. For more information on the options available, visit www.absoluterestaurantconsultants.com. When you’re starting your own restaurant you’ll have many things to consider and decide on. Many new restaurant owners make the mistake of trying to do everything themselves. First of all, opening a restaurant franchise means that you’ll have to read over copious amounts of franchise documents. Depending on the type of franchise, you’ll have many rules that you must follow to be in compliance with your agreement. Many people make the mistake of simply signing these documents without reading them thoroughly. Your best best is to hire a professional who deals with franchises and can help you make sense of the legal mumbo jumbo contained in these documents. Most people also need financing to open a restaurant franchise. The type of financing you get might be different when it is a franchise you’re opening. There are lenders that are more friendly than others to this type of restaurant opening. A good option is to hire the franchise experts at www.absoluterestaurantconsultants.com. They’ve got a ton of experience helping people like you find financing for their franchise dream. There will also be many licenses that you’ll need to apply for. It can be difficult to know exactly what you have to do when opening your restaurant franchise, because the rules and laws vary by state – and even by city sometimes. Once again, you will likely benefit from hiring a professional. They’ll know not only which licenses you need to have on hand, but the best way to go about getting them. They can even help with the paperwork you’ll need to fill out to apply for these licenses. Finally, when you start up a restaurant franchise you’ll have to train your employees. This can be tricky for an owner who’s new to the franchise. Not only are you trying to learn the ropes as you go along, but you’ll then be in a position to have to explain them to your employees as well. Your best bet is to hire a professional who knows the best training methods. The day your restaurant opens, you want it to be a smooth running machine. The last thing you want to do deal with is confusion amongst your staff. Opening a restaurant franchise makes a lot of sense for a lot of people. As with opening any business, however, there are some things you’ll need to consider. Many people find that hiring professionals to help them with much of the work is definitely worth the cost. Once your restaurant is up and running, you can run it all on your own. However, in order to get there, you need to make sure that you understand and follow the franchise rules, get the right financing and apply for the correct licenses. There are many advantages to opening a restaurant franchise. You’ll have the benefit of other people opening the same restaurant. There are many companies out there that can help to train you on restaurant management. But which one is best for you? You’ll want to think of the specific issues you need help with and find a company that can meet those needs. One example is a restaurant that is still a concept. You’re going to need to find the best place to open your restaurant. Using the services of a consulting company can not only help you understand what to look for in a location, they can help you with lease negotiations as well. One important aspect of restaurant management is finding the right vendors and suppliers. Some new restaurant management employees think that the price listed is the bottom line price. The reality, however, is that it is common to negotiate with a vendor or supplier. If you’re going to be buying many of their items in bulk, with the right tactics you can get the price lowered. Hiring a consulting company can help teach you the skills necessary for effective negotiation. Once you’ve got your location scouted and have made your arrangements with suppliers, you’ll want to focus on your menu design and development. It’s common for people who are new to restaurant management to not realize how important this step is. The reality is that your menu will set you apart from other restaurants. You want your menu to not only contain the information your customers want, but to be something that will stick in their mind and that they will associate with your restaurant. When you’re ready to open, you’ll need to hire and train your employees. When you’re just getting started with restaurant management, this can be tricky. It’s likely that you’re not sure yourself what the best way to greet your particular customers is, or how best to seat them in your dining area. Use the advice of a consulting company like www.absoluterestaurantconsultants.com to help you learn the best tools and skills to train your employees. This will give you the best results and will help your employees to feel more comfortable as well. The bottom line is that there are aspects of opening a restaurant that are a lot of fun and there are those that are tedious. You want to spend time on the parts of your restaurant that you enjoy, not get bogged down in repetitive and dull restaurant management issues. When this is your goal, you’re likely to benefit from the use of a restaurant consulting firm. With years of experience, they can help you get on the right track and let you focus on the fun parts of your business. When opening a new restaurant there are many things to consider. It’s common that a new owner will have great ideas for the implementation of their menu. No matter how good your food is or how friendly your wait staff, if people don’t know that your restaurant exists, you won’t be in business for long. Many owners want to try and save as much money as possible when they’re just starting up. While this makes sense on one hand, on the other – sometimes you really must spend money to make money. One example of this is restaurant marketing. When people think of restaurant marketing, they probably think of placing an ad for their restaurant in the local paper or in a food and wine magazine. While these types of ads can be somewhat effective, you must realize that in this current day and age, advertising and marketing plans must be cutting edge. Society is saturated with advertising and if you want yours to get through, you have to get creative. One of the best new restaurant marketing strategies is to give away something for free. People love free things and it will get people in your door. Once they see your restaurant and taste your food, the hope is that they will return – with friends! However, this is not a good option if the food and service in your restaurant are not up to par. There’s no reason to give away an example of your food if the food you have is not exceptional. There are also many social networking sites that some savvy restaurateurs use as restaurant marketing tools. You can form groups around your restaurant and people can join and comment on their best experience or favorite food at your restaurant. If you have a cute logo, you can make it simple for your company’s fans to put your logo on their page. This creates buzz and gets people talking about your restaurant, which can be one of the most effective, and least expensive, options in marketing. For those who simply aren’t sure what their best restaurant marketing plans should be, it can be a good idea to hire a professional company. Many people balk at paying someone for help with this, but if it can dramatically increase the traffic to your restaurant, you’ll see a return on your investment very quickly. You’ll want to look or a full service consulting company like www.absoluterestaurantconsultants.com that specializes in restaurants. They will have the best understanding of the industry and the particular struggles that come along with owning a restaurant and creating a marketing plan for it. As you can see, there are many ways to go about restaurant marketing. The best idea is to not just stick to one idea. Give people something to talk about, something to get excited about. The more enthusiastic people are about your restaurant and their experience there, the more likely they will be to tell their friends about it. If you’re simply not sure where to start, hiring a company like www.absoluterestaurantconsultants.com can be a very wise decision. They can use their years of experience in the restaurant field to help you make the best decisions. No matter how good your food is or how friendly your wait staff, if people don’t know that your restaurant exists, you won’t be in business for long. First and foremost, you must make sure that your restaurant menu design is clear and easy to understand. It’s common for people to want to make their menus works of art and interesting pieces to look at. This is encouraged and can be a great marketing tool. However, everything you do should be done with the express goal in mind to keep the menu functional as well. You want to list everything you have to offer along with a price to make sure that it is clear. Once you’ve made sure to keep the design of your menu functional, you’ll have some other things to consider. First, you must think about what type of restaurant you are opening. If you’re opening a small diner, your restaurant menu design will likely be relatively simple and folksy. However, if you’re opening a fine dining establishment, you must find a way to make your menu reflect to experience you hope your guests will have. If your restaurant is a folksy and simple diner, you’re likely to want to have a simple menu. You’d typically list the items you have for sale in their perspective categories. People do find pictures helpful, so it’s a good idea to have food photographer photograph some of your best looking and most popular dishes. You might also consider adding some quote and quirky quotes or fun facts to your restaurant menu design to make it a little bit more fun for your guests. On the other hand, if you have a sleek and modern fine dining restaurant, your restaurant menu design would be greatly different. One option that some restaurants have had success with is making an edible menu. Each day the specific menu for that night’s dinner service will be printed with edible ink on a piece of paper made out of sugar. Once your guests order, they’re actually able to eat their menu. This creates a huge buzz and people have a great time with it as well. Of course these are just to extreme examples of restaurant menu design. It’s likely that your restaurant will fan somewhere between incredibly simple and incredibly elegant. Your goal is to understand your restaurant and who your ideal client base is. You’ll then need to understand what they’re looking for and what they would consider fresh and new. A good option is to hire a professional team like those at www.absoluterestaurantconsultants.com. If you do choose a consultant, make sure that they specialize in restaurants. This is the best, and typically only way, to make sure that they understand your unique needs. When opening a restaurant there are so many things to consider that it can often be difficult to keep them all in mind. As a restaurant owner there are many things to consider, from the food you will serve, the people you will hire to your restaurant’s design. All of these factors will affect your business; people will eat where the food is good, and where they feel the most comfortable. Design is particularly important in this respect, and this design can affect everything from your restaurants dÃ©cor, to your menu, uniforms and website. Diners want good food and good service, but equally important is the restaurant’s design. Most any restaurant can serve good food, but it is the restaurant that sticks out in a diner’s mind with its unique design and fresh menu that will see the most repeat customers. Dining is an experience that only starts with food, if the atmosphere is warm, friendly and relaxing, diners will be far more apt to return. All elements of your restaurants design should connect with the type of restaurant you have as well as the kind of cuisine you serve. Everything from the tables and chairs, to the menus should reflect your food as well as your atmosphere. Develop a vision of how you want your restaurant not only to look but to feel and how you want your food to taste. Restaurants are unique among businesses in that they should employ all the diner’s senses. Your restaurant’s design should also be functional and this really must come first. Food is always the first things that patrons come in for, and if the food is not memorable then getting them to return will be more difficult. Designing an efficient kitchen is a part of this process and equally as important as the staff you hire to work in it. Consider the food you will be serving as you design your kitchen, how much of your food will be prepared on site and how much of it will be cooked fresh, will dictate the amount of kitchen space you need as well as the type of equipment you will put in it. Colors play a very important part of your design and much will hinge on the foods you will serve. Spicy foods such as a Mexican restaurant might serve, may be best served in an atmosphere of rich bright colorful rooms done in festive colors such as yellow, orange and red. A more sophisticated fine dining restaurant will want a more conservative color scheme with some rich colors in darker tones mixed in. There are many other important considerations to make in your restaurants design, such as acoustics, lighting, space and even ceilings. All these elements can affect your overall atmosphere creating either a lot of energy or perhaps a soothing relaxing environment that is a haven for weary diners. Along with your restaurant’s design consider also your advertising and website, these are often what diners see first, and they should be inviting, bringing prospective diners into the your restaurant experience long before they come thru the front door. It can be very helpful to hire experienced professionals that can help orchestrate your design elements into one inviting package that sends the same message to your patrons. Absolute Restaurant Consultants brings over 60 combined years of experience in the restaurant field to your project. They can handle all phases from a new restaurant or franchise to giving an old restaurant new life. As a restaurant owner there are many things to consider, from the food you will serve, the people you will hire to your restaurant’s design. For many restaurants the difference between success and failure can be a small as the lowest paid employee on the payroll or the price they charge for a soft drink. Before a person goes into the restaurant business they should take the time to have an ROI analysis done. This return on investment analysis will take into account the many factors that it takes to run a successful business from the moment of conception to the end of your first year and beyond. Your initial ROI analysis should be done before you either buy an existing restaurant or decide where to build your new restaurant. Location is one of the most important things that needs to be taken into consideration when you start out. If people cannot find your new restaurant, chances are you will not succeed. In the case of buying an existing restaurant analysis should be done to assess the past performance and the likelihood of future success under new management. An ROI analysis should be done to take into consideration all aspects of the restaurant including the cost of payroll, employee benefits, inventory and daily operational expenses such as utilities and equipment repairs. This analysis should be done in such a way that it can give a five year outlook to work with, showing your estimated costs and profits in that time frame. Although every restaurant is different; the formulas that should be used to make them profitable are all the same, only the numbers that are used change. For instance an upscale restaurant may have a higher food cost to retail price ratio than a fast food restaurant. A regular ROI analysis can show you where you need to make adjustments to help make your operation more profitable, a slight increase in prices may mean the difference between success and failure. Staffing is probably the most expensive part of any business and a restaurant is no different. Having a professional ROI analysis can help to ensure that your are making the best use of your staff. Perhaps tweaking the schedule a little will help to reduce the number of employees you need. It is possible that using three full time staff will be cheaper than 4 or 5 part time staff. Or perhaps you only need to have full staffing during certain hours and can reduce staffing in the off hours. All of these can help to raise your profits and reduce your costs. The professional financial consultant you hire to come into your restaurant and complete an ROI analysis should be someone who is knowledgeable in the restaurant business. He can then take a completely objective look at every aspect of your business from the staff to the way your cash flow is handled. Every expense that your business incurs will be tallied against the money that you are taking in and suggestions can be made that will help to reduce your bottom line and keep your restaurant in business for years to come. With over 60 years experience in the restaurant business in both owning and running restaurants as well as completing an ROI analysis for other owners, Absolute Restaurant Consultants can help you. Whether you are planning on opening a new restaurant or are struggling to find ways to keep your current one open they can provide you with the data you need to keep your restaurant in the black for years to come. For many restaurants the difference between success and failure can be a small as the lowest paid employee on the payroll or the price they charge for a soft drink. Running a restaurant can be a very satisfying business especially for someone that loves to cook, there are a number of different ways to run a restaurant, from your street side carts to fancy five star restaurants it all depends on your style and what you want from your business. In addition to choosing what kind of restaurant you want, you will need to determine if you are interested in buying into franchise or perhaps you may even be interested in starting a franchise of your own. A restaurant franchise is a chain of restaurants under one name and same basic menu, it is much like branding. When you enter into a particular restaurant chain you will expect a certain dÃ©cor, and a particular favorite dish no matter where you are in the country. This is part of the beauty of starting a franchise restaurant all the hard work is already done for you. With a franchise, the restaurant owner buys a restaurant that is branded with a certain label, has a complete menu and suppliers already in place. There are many advantages to buying into a franchise this way but if you are entering into the restaurant business because of your love of food and desire for creativity then starting a franchise is probably is not for you. Also keep in mind that if you own a franchise restaurant you will be responsible for franchise fees that can range from a percentage of advertising to a portion of your sales. If you already have a restaurant or an idea then perhaps you are considering starting your own franchise. This is a huge undertaking that takes far more than restaurant experience to achieve. Franchises are a business undertaking that will require a large amount of financing, as well as someone with a good background in business and who has an understanding of the franchise process. The first step in starting a franchise is having a solid concept of what you want your restaurant to be. This includes what type of restaurant you want, such as a fast food restaurant, family dining or fine dining just to name a few. Create a vision of what you want your franchise to look like and where you want it to go. Designing your restaurant’s style will also be important since this can affect the financial bottom line. Once you have a clear picture it is time to develop a business plan and submit your business plan to investors and banks. Without a detailed business plan you will not get very far, franchises are complicated corporations that can rise or fall on the quality of management they receive. Investors and banks are looking to make money on your idea too, so it is your job to assure them that your concepts are a safe and profitable investment for them. Perhaps the best way to start a franchise, either your own or an existing one is to get a professional to help you bring your good ideas to completion. Absolute Restaurant Consultants are professionals in the restaurant consultant business; they can take your ideas from concept development to reality. Starting a restaurant is a lot of hard work, and there are many things to consider in the building and opening of your new business. From the building phase to a multitude of licensing and staffing, starting your own restaurant is a complex project. You could purchase an existing restaurant and either continue on with the focus it already has, or you can purchase a restaurant that is either still in operation or has closed and completely renovate it to suite your purpose. This can be expensive and there is risk involved in this however in terms of choosing the proper location and being able to attract the right customers. Financing will be your first consideration when starting a restaurant, whether you purchase a turnkey operation or start it from the ground up starting a restaurant is a very expensive project, and you will need to obtain financing. If you plan to go to the bank to ask for a loan, a business plan will be your first step, banker and investors will want to know how their money will be spent and how you plan to get their money back to them. There are a number of different ways to obtain money for your restaurant; you can borrow the money from friends or family, or anyone else you may know that might be willing to invest in your good idea. You can borrow money from the bank, or get a loan from the small business administration. If you are starting a restaurant from the ground up a detailed plan of how you plan to build and market your business will be an important way to attract investors. When starting a restaurant your next consideration is location and potential patrons. Finding the right market for the type of food you want to serve can mean the difference between success and failure. Equally important is the location, you will want to choose a location that targets the crowd you wish to attract, if you want to attract a lunch crowd a location close to offices and other businesses will be a better choice than one closer to residential area. When choosing a location for starting a restaurant be sure your location is easy to access and it has ample parking; people will not be as likely to stop if it is difficult to get into the establishment. The biggest expense in starting your restaurant will be equipment, and this is an area you may want help with in knowing the type of equipment you will need and where to purchase it for the best price possible. It is possible to lease equipment before you purchase it, so you may consider this option depending on your finances. If you know what you need you can also look around for used equipment for sale or at auction, from restaurants that are either upgrading or may have recently closed. Absolute Restaurant Consultants can help you start your restaurant business, with 60 years combined experience in owning and operating restaurants they can help you with every phase of opening your new restaurant. From Design to licensing and managing employees Absolute Restaurant Consultant can help you with starting a restaurant. Starting a restaurant is a lot of hard work, and there are many things to consider in the building and opening of your new business.